Hey there! I'm so glad you're here!! I'd love to tell you more about the oils. Ohhh, the oils! (I could go on & on!) I'm part of an amazing group of oilers - The Happy Oilers. Anyhow, the essential oils are amazing to help support all sorts of things from seasonal issues, poor sleeping, skin issues, head pains, bug bites, sore throats, immunity problems that usually happen in the fall and winter season, to energy and so on. The essential oils from Young Living are all therapeutic grade oils you can diffuse, apply topically, and ingest. I love how versatile these oils are, and they work! I wanted to find a more natural, healthier way for my family. I was the biggest skeptic, and now I'm the biggest supporter. I jumped in and haven't looked back! Sooo...my recommendation to dive in, and how I got started, is with the Premium Starter Kit. 11 oils, samples, product guide, diffuser, and so many goodies ($360 value)! The diffuser alone is $95! The kit also makes you a member which would give you a 24% discount off any future orders. This does not mean that you have to be a distributor like me, but if you wanted to try that in the future, you can make a great commission, but it is not necessary. 2. 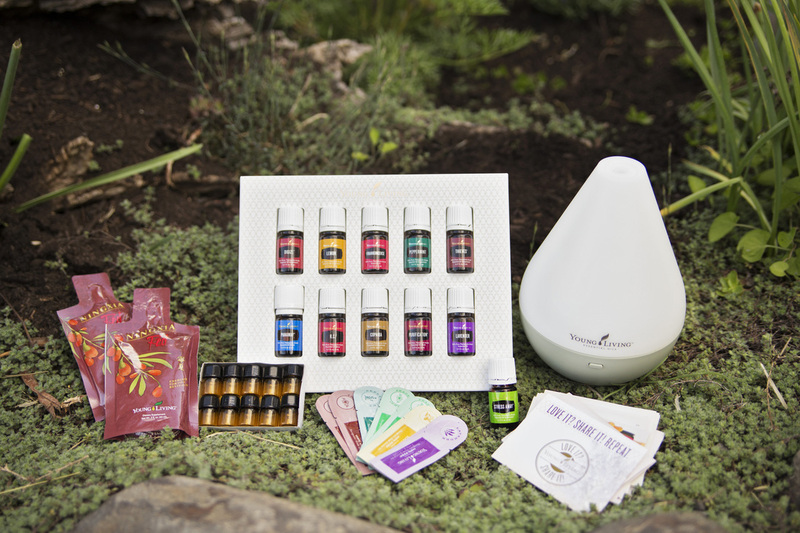 Then choose the Premium Starter Kit you'd like (Dewdrop diffuser is $160, Bamboo diffuser is $170 and the Aria is $260). 3. Unless you are ready to dive in, and know you want to be reordering often, go ahead and just say, "No, thanks" for step 3 about Essential Rewards. No need to worry about that right now! 4. Now is a great time to add anyhing else you want with your brand new 24% off discount! Some of the favorites that go quickly are Progessence Plus, Deep Relief, and Valor II! Let me know if you want support for anything specific and I'll help!